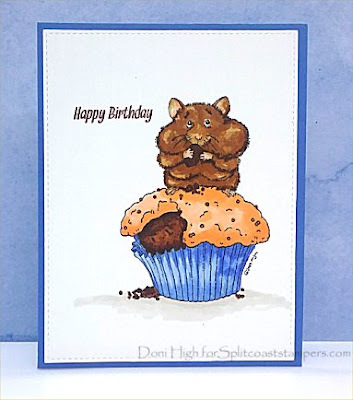 Today's Color Challenge over at Splitcoast Stampers is to use peach, blue, and brown. The desert option is butterflies. There's a hidden butterfly! Did you find it? omg this is tooooooooo cute! Great coloring!